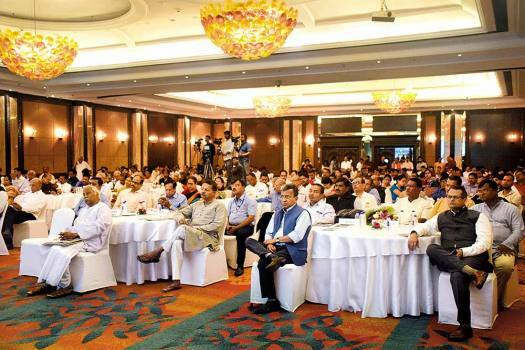 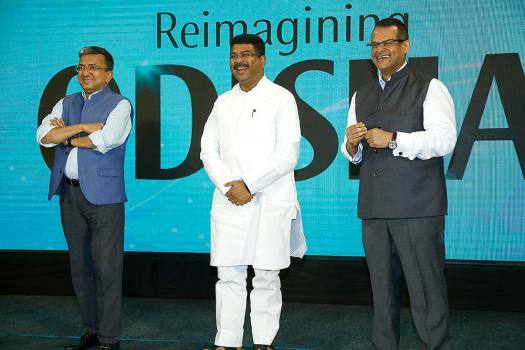 Union Minister Dharmendra Pradhan with Outlook Group CEO Indranil Roy and Editor Ruben Banerjee during Outlook SpeakOut: Reimagining Odisha. 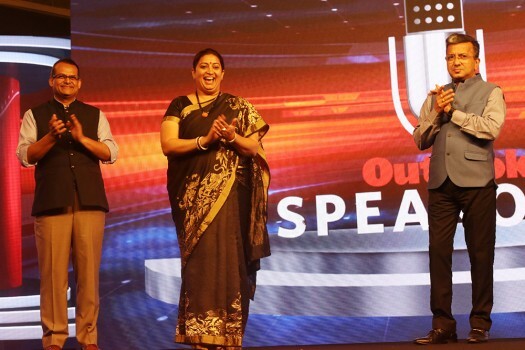 Outlook CEO Indranil Roy and Editor Ruben Banerjee with Union Textiles Minister Smriti Irani at SpeakOut 2018, in New Delhi. 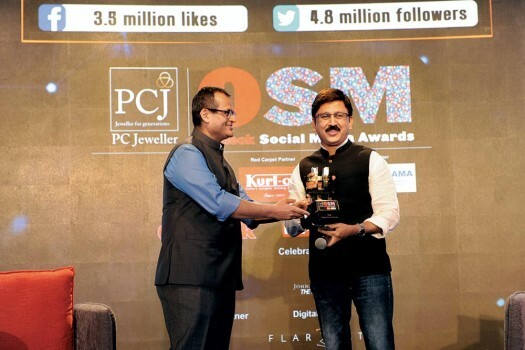 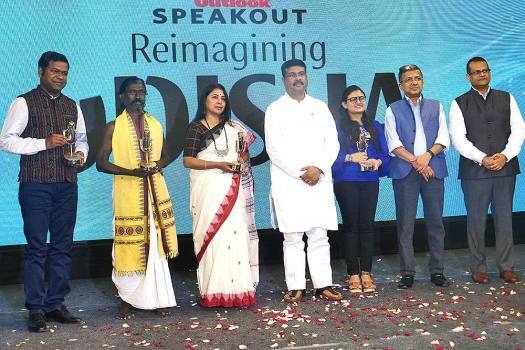 Indian Film/TV producer and director being felicitated at the Outlook speakOut event. 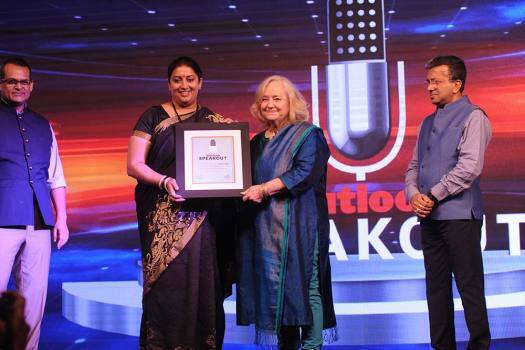 Team Navika Sagar Parikrama being felicitated at Outlook Speakout event, in New Delhi. 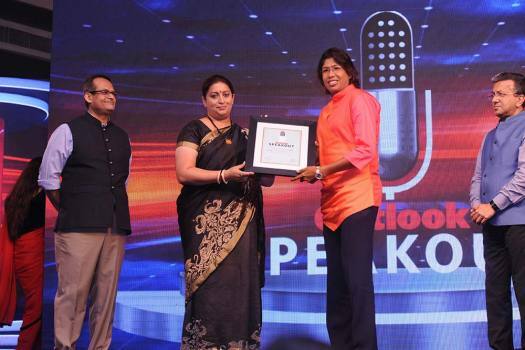 Jhulan Goswami, former captain of India Women’s Cricket Team, being felicitated at Outlook Speakout, in New Delhi. 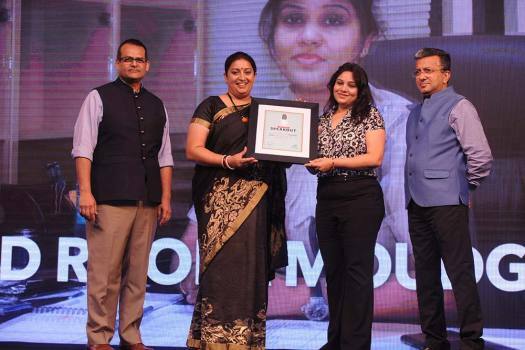 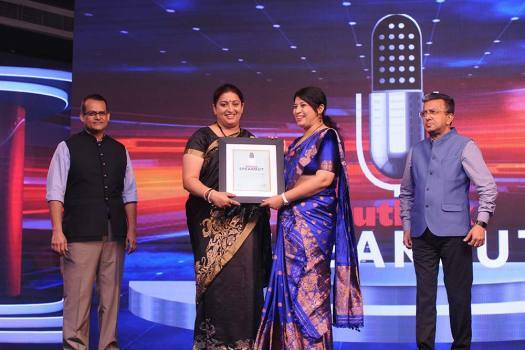 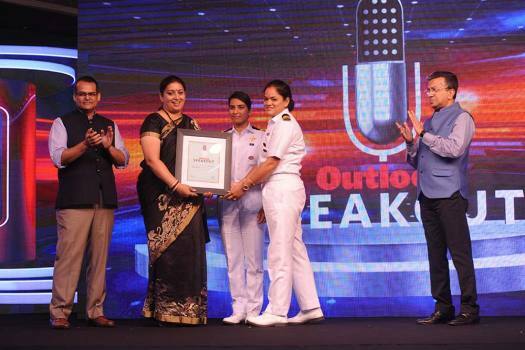 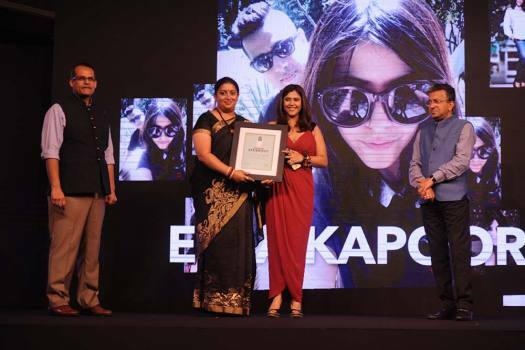 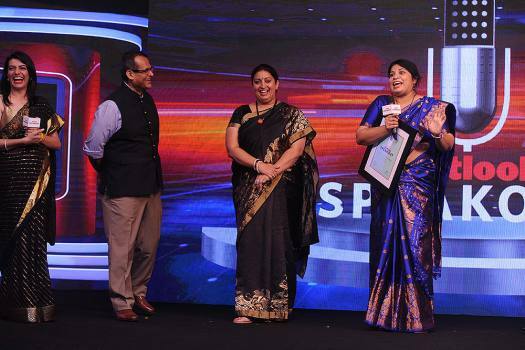 IPS officer D Roopa Moudgil receives SpeakOut Outstanding Achievers award. 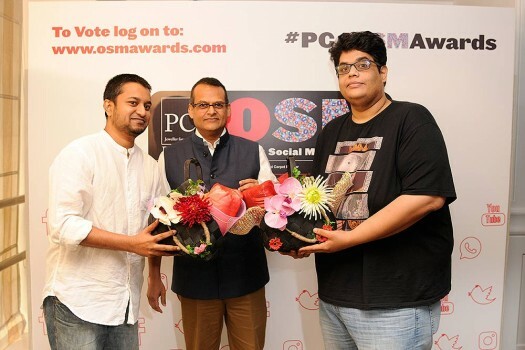 Jury members Jose Covaco and Tanmay Bhat receives gift hampers from Outlook Group CEO Indranil Roy. 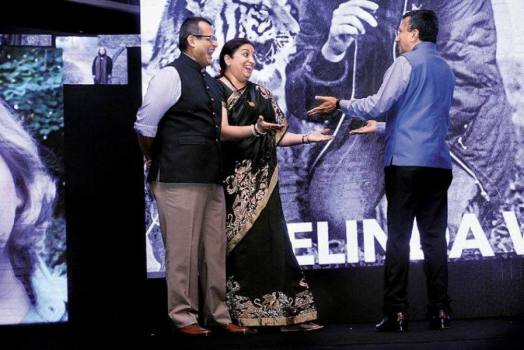 A big thank you to our gifting partners: Ananda, Fila India and Toshin. 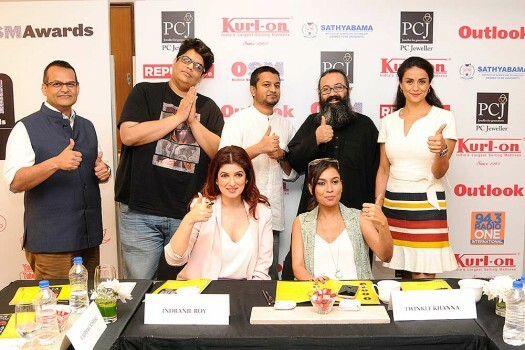 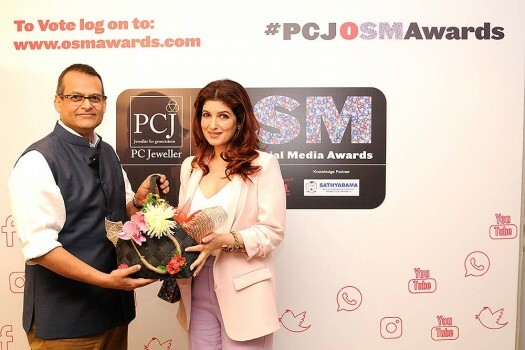 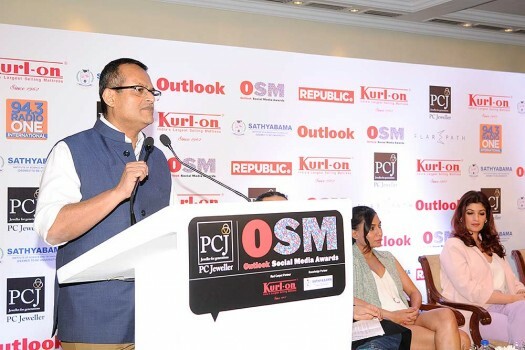 PCJ OSM Awards 2018 Jury having a candid moment. 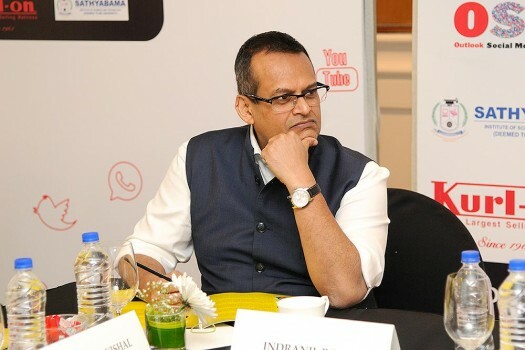 Jury Member- Indranil Roy, CEO Outlook Group.